Ride the New Wave of hGH Release! Somotomax is a dietary supplement used as a nighttime formula to enhance natural sleep and to assist the body in the release of natural hormonal compounds, including growth hormone (hGH). Somatomax may also be used in smaller serving amounts as a daytime formula for a feeling of well-being, increased energy and to enhance libido and sexual function. In conjunction with proper diet and exercise. 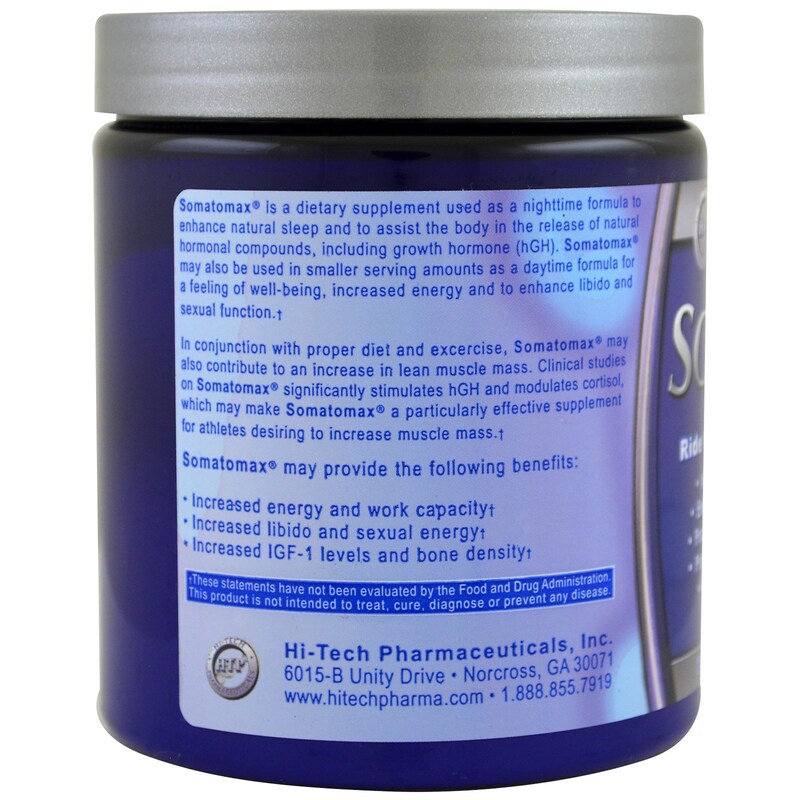 Somatomax may also contribute to an increase in lean muscle mass. 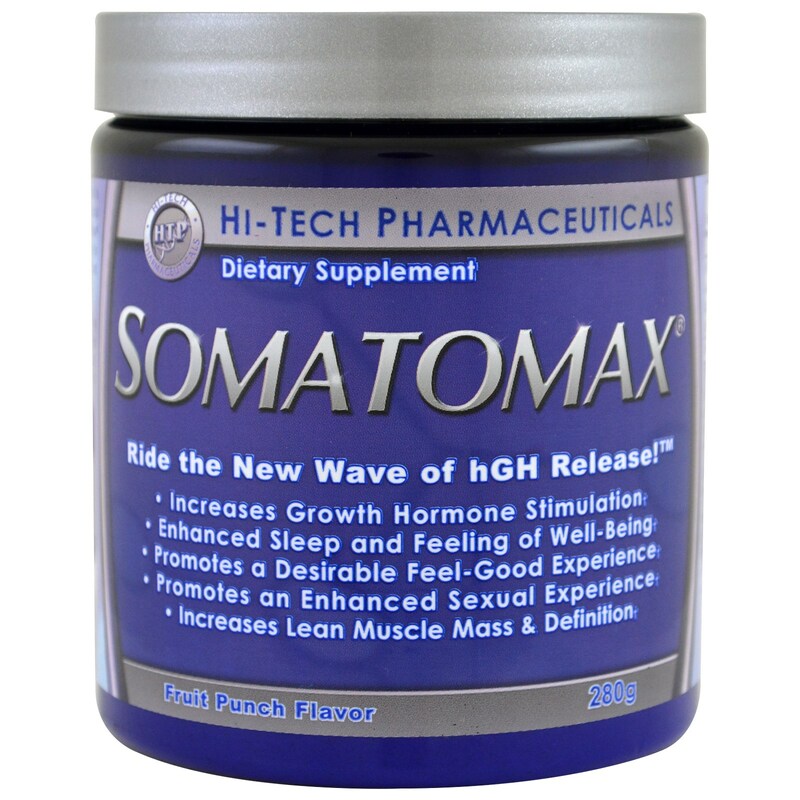 Clinical studies on Somatomax significantly stimulates hGH and modulates cortisol, which may make Somatomax a particularly effective supplement for athletes desiring to increase muscle mass. 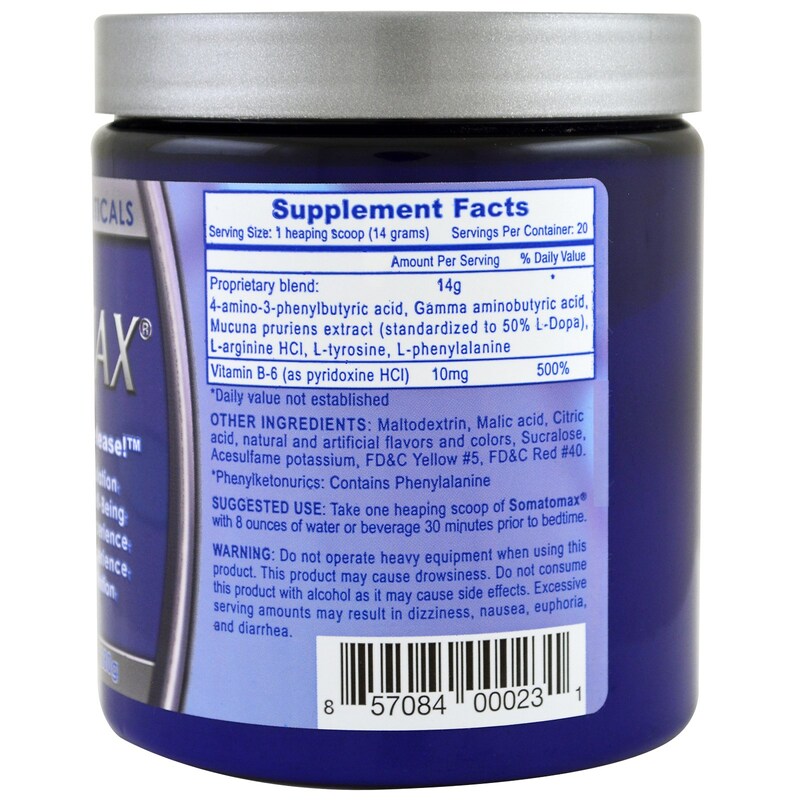 Take one heaping scoop of Somatomax with 8 ounces of water or beverage 30 minutes prior to bedtime. Maltodextrin, malic acid, citric acid, natural and artificial flavors and colors, sucralose, acesulfame potassium, fd&c yellow #5, fd&c red #40. Do not operate heavy equipment when using this product. This product may cause drowsiness. Do not consume this product with alcohol as it may cause side effects. Excessive serving amounts may result in dizziness, nausea, euphoria, and diarrhea.